It is said that different community groups have requested the credit bureaus to not show reports to the recruiters. Are you tired of being rejected by every recruiter in your town due to your poor credit score? Are recruiters completely overlooking your qualification and making decision solely on the basis of your credit score? If yes, then there is good news for you. It is said that different community groups have requested the credit bureaus to not show reports to the recruiters. Glance through the article to know more about this issue. It has been reported that labor unions, community groups, people working for consumer rights and general American citizens have requested TransUnion to not show the credit reports of the job seekers to the recruiters. A lot of recruiters believe that credit reports reveal the true character of a job seeker. The credit report helps the recruiters to guess whether or not the job seeker will be a responsible and sincere employee. As per a recent report, nearly 13% of recruiters go through the credit reports of all the job seekers. Around 47% recruiters view the credit reports for the purpose of screening applicants. Checking of credit reports by the employers has created a major problem in the nation. After the economic downturn in the year 2007, the country is yet again facing a financial crisis. College graduates are not getting jobs easily. They have to sit idle for several months. The condition of the experienced workers is not good either. Half of them are laid off and others are facing a pay cut. This has lead to an increase in consumer debt level, foreclosure, short-sale, bankruptcy, etc. As such, it is quite natural that a large section of the American citizen will not have a fantastic credit report. If the recruiters reject the job seekers just on the basis of credit report and score, then it can be easily said that most of them will not be selected. The community groups feel that it is highly unfair for the job seekers to get rejected on the basis of poor credit rating. A credit reporting agency can't establish any link between a person's performance and credit record. If this is the case, then how can the recruiters predict the performance of a jobseeker beforehand? This single question has strengthened the resolve of the consumer groups to fight against the discrimination of the job seekers on the basis of credit score. There are primarily 3 major credit bureaus across the nation - Experian, Equifax, and TransUnion. Out of the 3 credit bureaus, TransUnion is the only private credit reporting agency. So, it is expected that they can revise their policies without much problem. Due to this reason, consumer groups have made this special request to TransUnion instead of the other 2 credit bureaus. However, TransUnion seems to have no mood to give in to the demand of the consumer groups. The credit bureau understands the plight of the unemployed people. However, they also give due respect to the sentiment of the recruiters. The bureau says that recruiters check the credit report of the job seekers to know how they have tackled their life without any job. The employers want to be sure that job seekers went into the debt problems due to the lack of job only, and not for any other reason. TransUnion further goes on to say that the recruiters don't glance through the credit reports to reject the job seekers. Rather, they see the credit reports to create a final batch of candidates. Usually, the recruiters like to see the credit records of the people who are going to handle company's financial and confidential matters. They think that checking of credit reports is an integral part of interview process. It is as important as the expertise, educational background, resume, communication skills, and practical knowledge of the interviewee. The credit bureau says that job seekers are not that helpless. After all, the recruiters can't get hold of the credit reports without the consent of the jobseekers. Neither the jobseekers can be rejected for being bankrupt. 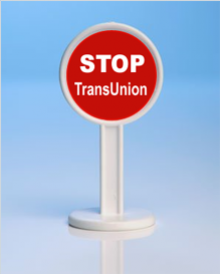 The consumer groups are still not pacified with the statement of TransUnion. They argue that it is unethical and outright wrong to judge one's character through credit reports. They are of the opinion that there should be a change in the recruitment process. The only way to recover the economical situation of the country is through the creation of new jobs. Job seekers should not be shown the door just because they don't possess the perfect credit report. Page loaded in 0.726 seconds.